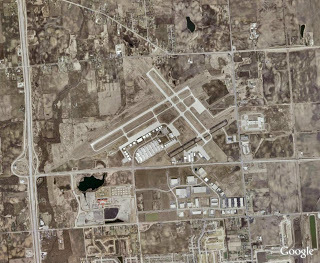 We went to Kenosha where they have parallel runways. That way we could do touch and gos without interrupting the traffics flow like we would back at Waukegan. My landings were better than last time but, still far from perfect. The good news is that they got better as we went along. I was really getting a feel for the cross control needed in crosswinds. That gives me hope that the landing slump is coming to an end. The Waukegan airport will be closed on Sunday so, next lesson wont be until Tuesday.